Jody Wilson-Raybould and Jane Philpott have been removed from the federal Liberal caucus. 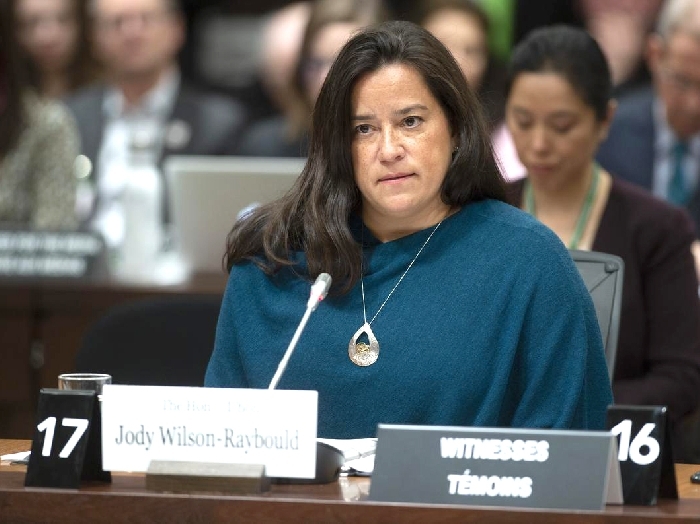 Wilson-Raybould said that she has been informed by Prime Minister Justin Trudeau that she is no longer in the caucus and has been dropped as the candidate for Vancouver Granville, B.C. Shortly afterwards, Philpott was also told by Trudeau that she is out of caucus. Wilson-Raybould and Philpott had both resigned from cabinet over Trudeau's handling of the SNC Lavalin affair. In the last 24 hours Liberal MPs gathered in their smaller regional caucuses to discuss whether Wilson-Raybould and fellow former cabinet minister Jane Philpott who resigned amid the controversy -- should be able to remain members of the Liberal team. Her new letter hit the inboxes of the 179-member Liberal caucus around noon, just as the 77 Liberal MPs who represent Ontario ridings were gathering to discuss whether Wilson-Raybould and Philpott, a fellow former cabinet minister should be able to remain members of the Liberal team. “If indeed our caucus is to be a microcosm of the country it is about whether we are a caucus of inclusion or exclusion; of dialogue and searching for understanding or shutting out challenging views and perspectives; and ultimately of the old ways of doing business, or new ones that look to the future,” she wrote. In the letter she also spoke of the Liberals’ 2015 election commitment to do politics differently, more transparently, and by empowering MPs. “I believed we were going to uphold the highest standards that support the public interest, and not simply make choices to create partisan advantage,” she wrote. Wilson-Raybould has alleged that she faced high-level "veiled threats" and attempted political interference in the criminal prosecution of SNC-Lavalin from nearly a dozen senior government officials, have dominated the political agenda in Ottawa since they were first reported in February. Since she testified to the allegations, Trudeau has faced calls to resign, the House of Commons has been largely usurped by opposition-prompted procedural moves, and several other high-profile officials have resigned amid insistence that nothing improper occurred.